On Wednesday, avoid traveling unless it is related to your professional commitments that you cannot postpone. New acquaintances may be unpleasant or associated with people with a fake identity. If you are a parent today, you will need to spend time on education or other important activities related to your own child. Generally, this day brings out some trials or checks on your moral values when making important decisions or performing your daily tasks. Any attempt to trick or cheat would be costly to the one who allowed himself to do so. Avoid conflicts related to your household or material interests as Wednesday does not favor such actions. LOVE: Today you are trying to show your heartfelt feelings and not to interfere with your household or financial problems. Contacts with friends or relatives of your partner are possible as well as virtual conversations related to them. 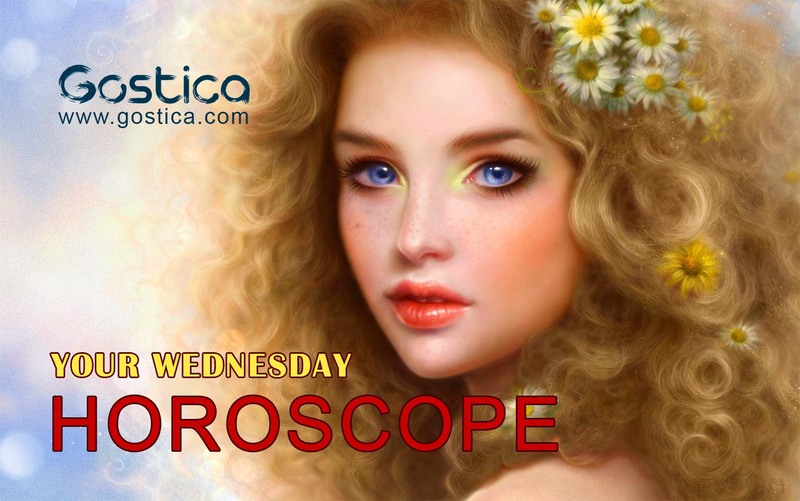 If you were born under the sign of Aries, Leo or Sagittarius, avoid relying on information from strangers on Wednesday. You will be the subject of some attempts to engage in intrigue or manipulation of your actions. In your personal life, you can have an interesting experience. If you were born under the sign of Taurus, Virgo or Capricorn, today you will experience a conflict that will not surprise you. Wednesday will be a good day for planning important things for you. Today rely more on your own intuition and your life experience. If you were born under the sign of Gemini, Libra or Aquarius, you will now make plans for travel or such related to people from different destinations. Now avoid cash talks as they will not bring you the expected results. On Wednesday, you will have a reason to rethink your plans for the coming days until the end of the week. If you were born under the sign of Cancer, Scorpio or Pisces, you will experience pleasant emotions with friends or relatives on Wednesday. This will be a good day for planning future actions based on your life experience. Past events will affect decisions or plans related to property or belongings, that you will engage with today. You have specific appurtenances, which could be very useful at this time, especially in the professional field. You have many issues to deal with, so you will find a way to apply them. On this particular day, someone will ask you for promises but if you can’t keep them, you must be honest right away even though you can put it all. If you are not convinced that you have accomplished all that is in your power to change a situation that afflicts you, you should back down and retrace your steps. By re-analyzing the question, you may find some details to change which could overturn your programs but in a positive way. You will have many more problems if you do not try. On this day, you will be in clear difficulty especially in front of people who, on purpose, will try to hinder you or put you in front of your contradictions. You know that you have many, so the best way to overcome this impasse would be to face them. Trying to change is a long and courageous process. If you have not yet decided how to behave, compared to a decision you have to make in these days, at least make sure that others are calm. Do not raise suspicions about your insecurity. It would be really foolhardy to show your fears at a time when everyone around you has already taken their own path. Dissimulate. Try to take time not to answer certain uncomfortable questions. Try not to be too rash to judge someone. On this day, it will be appropriate to remain rather neutral compared to the people you know. You do not know, yet, what impact they have on your life, so it is not right to speak without knowing. Maybe they did it in the past with you, but it’s not fair to take this kind of revenge on someone who has no faults. If you want to look for other outlets for your profession, this may be the best time to do it. If you wait too long, the conditions may be lacking, but above all, you may lack courage. The more you go on, the less you have the strength to face this kind of challenges . Do not waste your time. You understood that the fundamental aspect is timing!